On this day, lawyers with 10 years of experience of less joined some more experienced attorneys in hitting golf balls with instructor tips at Chelsea Piers in Manhattan. 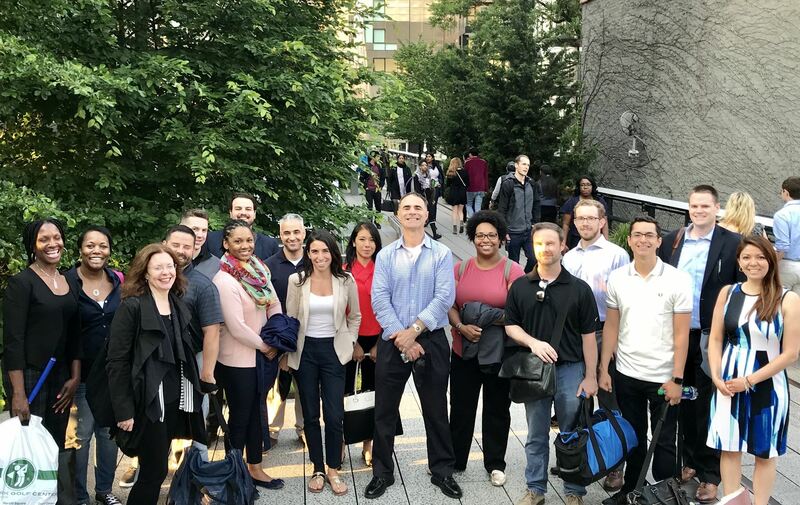 The group then took a nice walk on the High Line (see photos below) and landed at the Half King for food, beverages, networking and socializing. DANY thanks its sponsor iMedView for supporting this event, and also thanks its Young Lawyers Committee for making this happen - it was a great experience for all involved. To say goodbye to Summer and welcome Autumn, a mixer was organized by DANY's Young Lawyers Committee. This took place at The Ketch, 6 Platt Street, New York, NY 10038. Thank you members, guests and sponsors for attending this enjoyable event - photos to come.